When it comes to medical cannabis claims, what's legitimate? Google the word "cannabis" coupled with just about any disease — arthritis, epilepsy, even cancer — and there are all sorts of health claims made about what some have come to view as a potential wonder drug. "I think right now there's a lot more hype than evidence and there's a lot more enthusiasm for its widespread application than there are good trials to support such expansive use," says Jason Busse, co-director of the Centre for Medicinal Cannabis Research at McMaster University in Hamilton. "Some of the things that I've heard that are a little bit more worrisome are on websites from companies producing these products, making claims for almost anything and everything," Busse says. "There's a lot of hyperbole out there right now and I think there's a real risk that patients, who are desperate because of the limited options they have for their condition, are embracing very enthusiastically some of these claims." There's strong evidence that certain cannabinoid components in marijuana can help alleviate nausea and vomiting from chemotherapy, reduce muscle spasticity in people with multiple sclerosis, and help people with AIDS-related anorexia regain lost weight. Those cannabinoids — most notably tetrahydrocannabinol (THC), marijuana's main psychoactive ingredient, and cannabidiol (CBD) — also have been shown to reduce pain in some people. Preliminary evidence suggests cannabis may help replace or reduce the dosage of opioids prescribed for pain control. 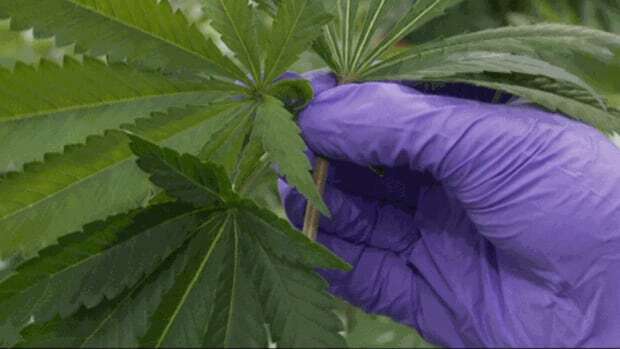 Dr. Mark Ware, a professor at Montreal's McGill University who has spent two decades researching pain, says marijuana doesn't appear to do much for acute pain resulting from trauma or surgery. "There hasn't been a lot of work on chronic inflammatory pain, chronic migraines, fibromyalgia and so on," says Ware, who recently went on temporary leave from McGill to become chief medical officer at Canopy Growth Corp., an Ontario-based licensed cannabis producer. "It doesn't mean that they don't work for some of the conditions, it's just simply that we haven't looked yet." "We know there's a lot of anecdotal evidence coming from patients who use medical cannabis to help manage symptoms of their arthritis, but of course we have to put some sort of scientific beef behind that," said researcher Jason McDougall, a professor of pharmacology and anesthesia at Dalhousie University in Halifax. "They have this whole slew of different beneficial properties that we're finding in the lab," says McDougall, who has an Arthritis Society grant to investigate the effects of injecting cannabinoids directly into arthritic joints using animal models. "We know they're good for pain relief, they help with fatigue and we're finding that they can help repair the nerves in the joint, which become damaged in arthritis, and that they can be anti-inflammatory as well." "The area where we have most difficulty is in mental health conditions," says Schecter, who practises in Toronto and Barrie, Ont. "That's probably where there's the biggest disconnect is in the evidence in the use of cannabis for mental health disorders … and the health claims that are made on the internet." He doesn't recommend medicinal cannabis for general anxiety disorders except in specific cases. One backed by a growing body of research is post-traumatic stress disorder, or PTSD, a condition marked by flashbacks, nightmares and intrusive thoughts related to a life-threatening experience such as combat. "THC injected has been shown to be beneficial to reduce nightmares, allow these people to get a better night's sleep, so that the next day they have more resilience and they can consolidate new ways of thinking in a much better way." Where cannabis — specifically CBD oil — is also showing promise is in the treatment of children with Dravet syndrome, a severe form of epilepsy that often doesn't respond to standard anticonvulsant drugs. A small number of studies have shown that CBD oil can reduce or virtually eliminate seizures in some kids with Dravet's, and in June the U.S. FDA approved Epidiolex, the first cannabidiol-based medication for treating Dravet's and Lennox-Gastaut syndrome, another rare pediatric epilepsy. The six-year-old is non-verbal, suffers from hyperactivity and engages in "stimming" — including rapid flapping of his hands for sometimes hours on end — and self-harm from slamming his head or heels against hard objects. Stimming is short for self-stimulatory behaviour, a common symptom of ASD. Logan would also have three to five "level 5" meltdowns a day, hitting himself, screaming and throwing things, "crying so hard he would pass out," says Lawrence. "And there was no consoling him." "The very first day we gave Logan CBD, he didn't have a single meltdown and he has not had a level 5 since," says his father, explaining that he and his wife assigned that number to his worst tantrums. Since starting CBD oil in October 2017, "his temper was shot right down. His stimming was cut in half, his eye contact went up 10-fold. He started sleeping through the night." Yet Lawrence is quick to point out "it's not a cure, it really isn't, but it alleviates some of the major symptoms." The consensus, at least from the scientific community, is that much more rigorous, high-quality research is needed to answer questions about marijuana's legitimate therapeutic uses and — critically — its potential harms. "That's part of the reason for my move to industry," says Ware, who is co-ordinating clinical research at Canopy Growth with the aim of developing cannabis-based medicines. "I'm tired of hearing that there's not enough evidence. I want to help make that evidence happen," he says, adding that much of the push to investigate cannabis medicinally has arisen because of the breadth of anecdotal reports about its apparent benefits. "This is really a patient-driven phenomenon and will continue to be. So if we're listening, if we're paying attention, we will be handed the research questions by the very patients whom we hope to treat."